SubRosa is a collectively run anarchist community space, a place to meet others and challenge our assumptions and act on our passions. We strive to create a vibrant environment for events, classes, meetings, organizing, performance, art, studying and more. SubRosa also offers radical literature for sale, and houses the Anarchist Lending Library. We welcome folks to join us in fostering an environment free from coercion, sexism, homophobia, racism, and other hierarchies. 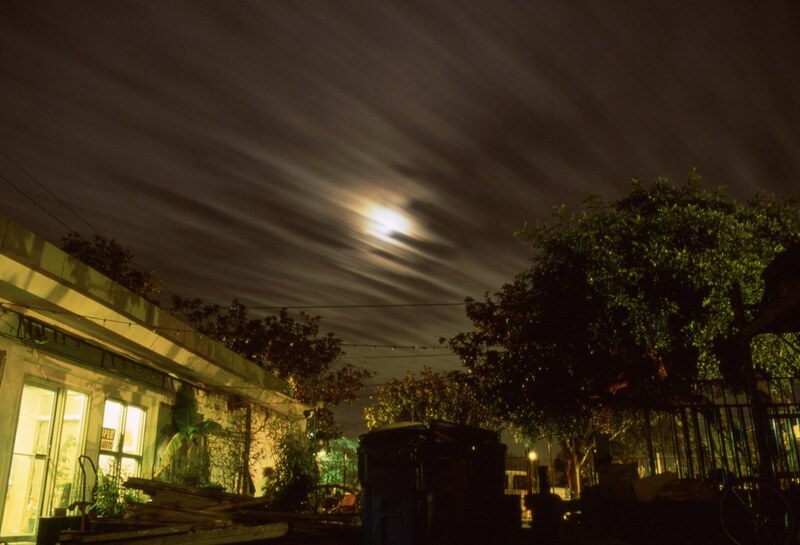 Cloudy Moon Over SubRosa by aj jones, mechanic at the Bike Church and great neighbor. Comments on the SubRosa website are fully moderated. As a collective, we agreed that the purpose of the website was to promote SubRosa, not to provide an online place for lively and invigorating debate. We hope that the space itself is where conversations on the nature of anarchism and local projects will take place. That said, we occasionally approve comments that are informative or reflect a viewpoint we feel it is important for website visitors to read. Anarchy & community, books, zines, art, workshops, performance, & more! SubRosa is in downtown Santa Cruz, CA which is unceded land of the Awaswas-speaking Ohlone people. Get announcements about events and happenings at SubRosa.